Encapsulating the "Alfa Spirit", the Alfa Romeo Giulietta is a sporty hatchback that offers performance and style without sacrificing practicality. Fun to drive thanks to responsive steering and a strong lineup of turbo petrol engines, a smile will never be far from your face. 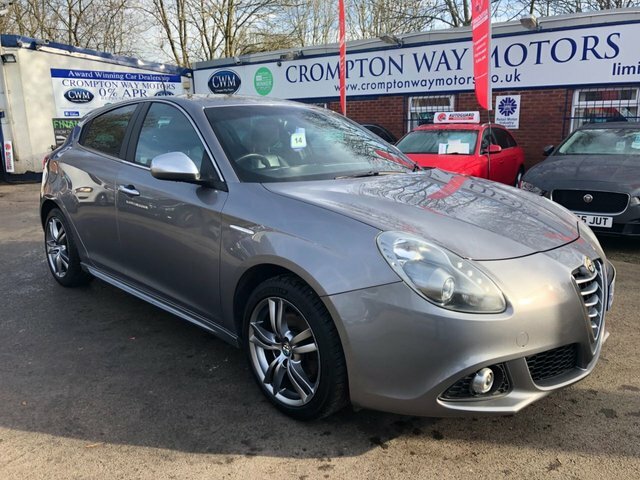 Browse the latest selection of used Alfa Romeo Giulietta models for sale in Bolton here on our website. Rest assured that all the second-hand vehicles for sale through Crompton Way Motors Limited come fully inspected, ensuring our customers get to enjoy complete peace of mind. Call the showroom team now to discuss your requirements in more detail, or to organise a test drive in the model of your choice.